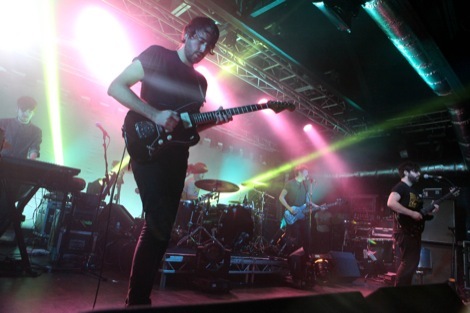 Foals return with huge stadium crushing music, yet Getintothis’ Sean Bradbury argues their remarkable musicianship and live presence remains a rare proposition. When Getintothis saw The Invisible headlining Parr Street‘s Studio 2 back in October, it was a sublime night that pulsed with raw emotion in a fittingly intimate setting. 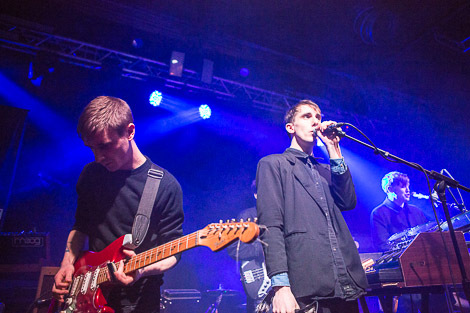 How would they fare opening for Foals and a different crowd at the larger O2 Academy? The answer was forcefully and immediately made clear. By the time the swirling fog of drones and drums that is The Great Wound enveloped the venue, all eyes and ears present were utterly captivated. London Girl followed slower and smoother than the album version, but while it lacked its recorded industrial punch it offered instead a stuttering, sensual pacing reminiscent of David Bowie‘s Let’s Dance. And just so no-one was left in any doubt of what The Invisible are capable of, they built up and let rip in spectacular sonic fashion with a blistering rendition of The Wall to close. The Oxford six-piece bounced out as Zeppelin‘s In My Time Of Dying rang round the Academy, with all the enthusiasm of kids hurtling towards the playground and had to visibly restrain themselves from thrashing out straight away when loosening up with new album Holy Fire‘s opener Prelude. 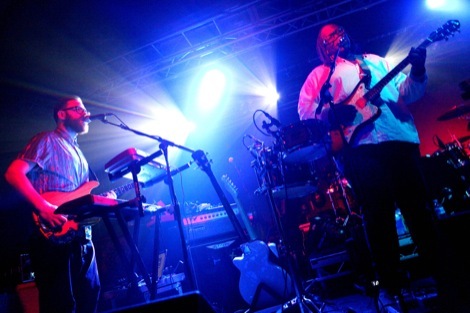 The electricity surging between band and crowd at their gigs is difficult to articulate. That the whole of the floor was bellowing the main guitar riff of Miami seconds after it started perhaps goes some way to describing it. There were further fulsome reactions for the perfect rhythmical storm of Balloons, the glistening discopop of My Number and the pin-drop silence singalong of Spanish Sahara. 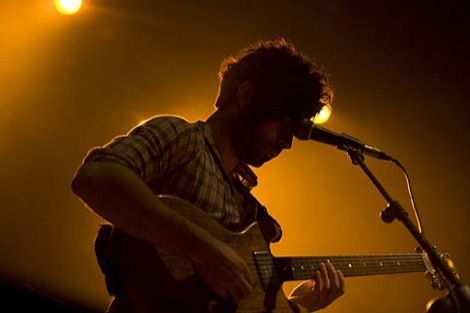 Frontman Yannis Philippakis made himself familiar with speaker stacks and the outstretched hands of the first few rows, climbing and diving to his heart’s content as Foals sped up and rocked out with Providence, Red Socks Pugie and a delightfully deranged Electric Bloom. Their encore was a devastating job, cross, uppercut combo to bring a stunning set to a close. First came celestial lullaby Moon. 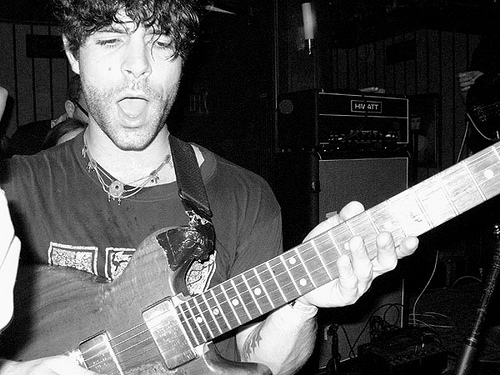 Next, as it had to be, the other end of the spectrum with the burst of pure Deftones power that is Inhaler before they finished – or at least tried to, dipping back in for another chorus or another visit to the crowd for Yannis – with perfect party piece Two Steps, Twice. 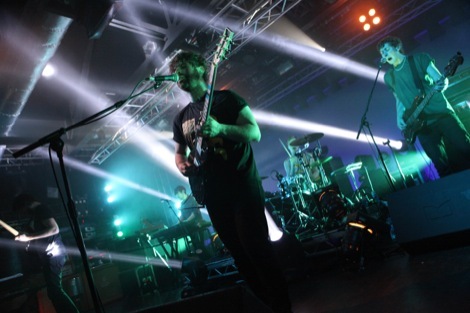 Foals 3.0 may sound bigger, brasher and bolder than ever but they’ve lost nothing of their musicianship and awesome live power – and their Academy display sees them sitting at the top table of the world’s greatest live bands. 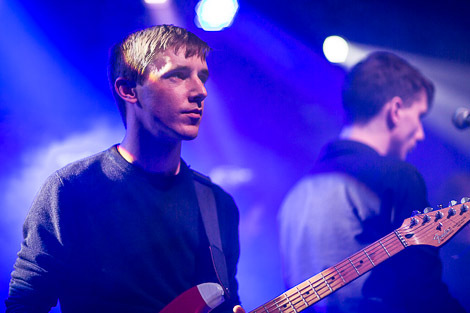 Photography by Getintothis’ Dave Munn.